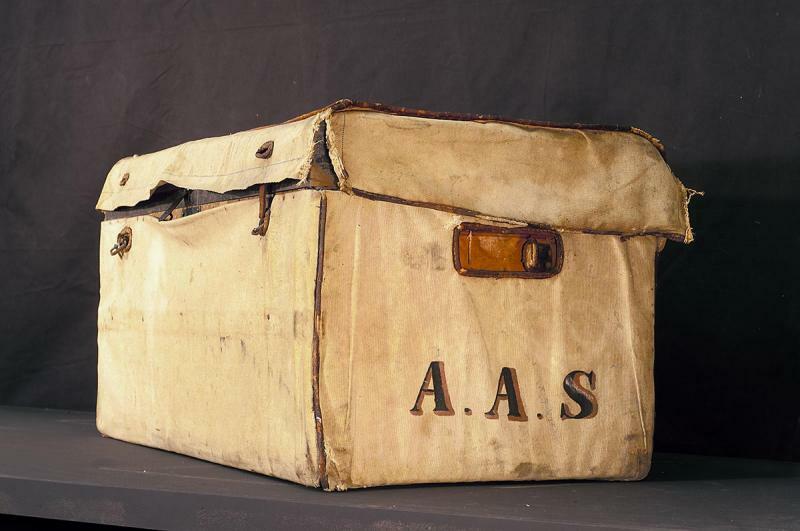 This papier mache toy belonged to Anne Atherton Starrett, daughter of Captain Henry Atherton Starrett of Belfast, and his wife Ellen Mary Cutter Starrett. 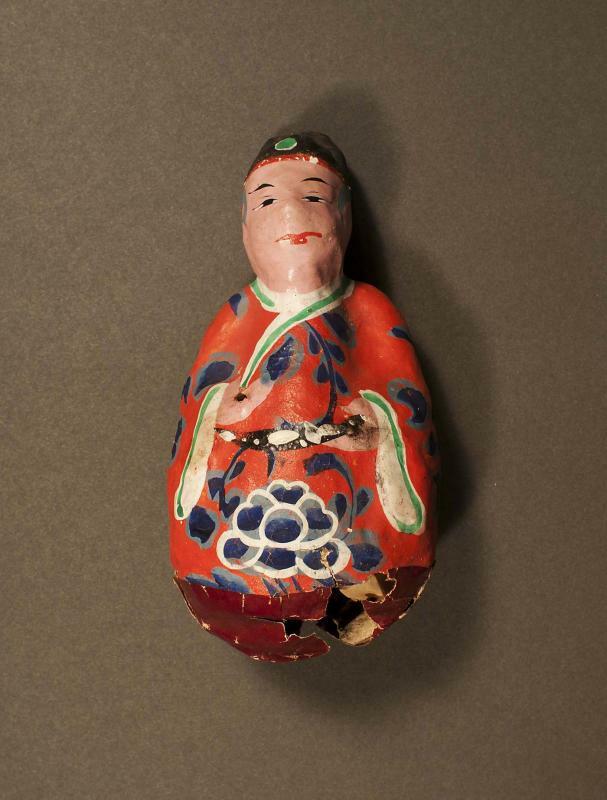 The painted toy came from Hong Kong or another Asian port, when Anne was a child. 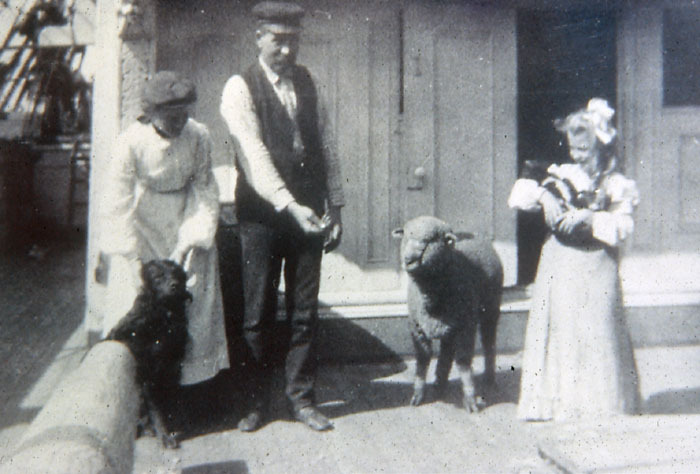 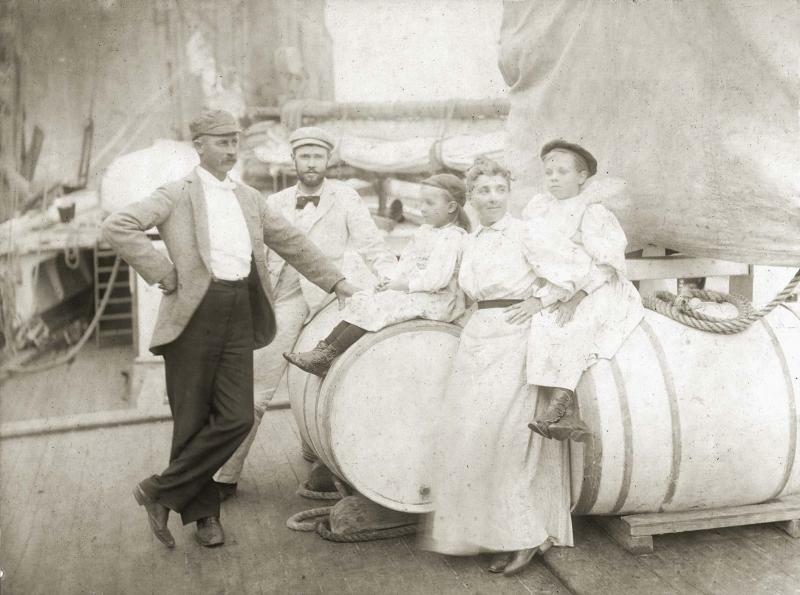 This photo shows the family of Captain W. R. Gilkey (left). 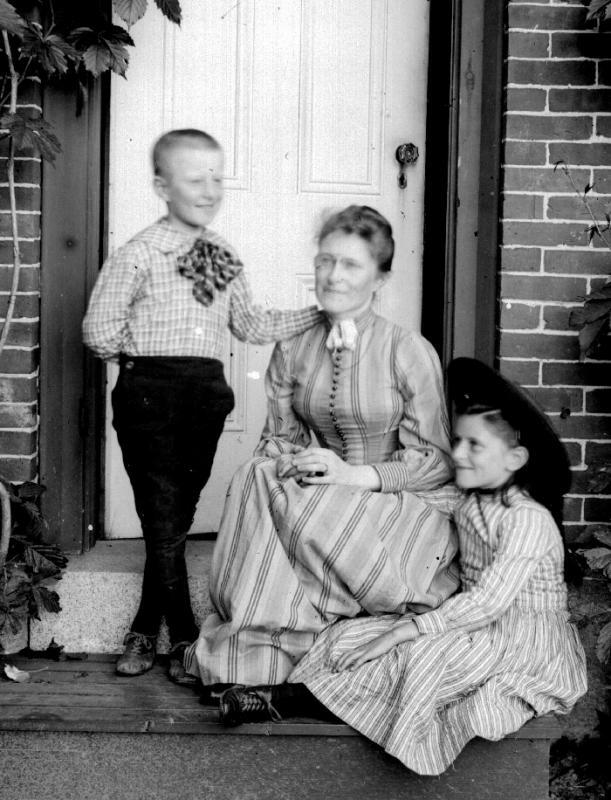 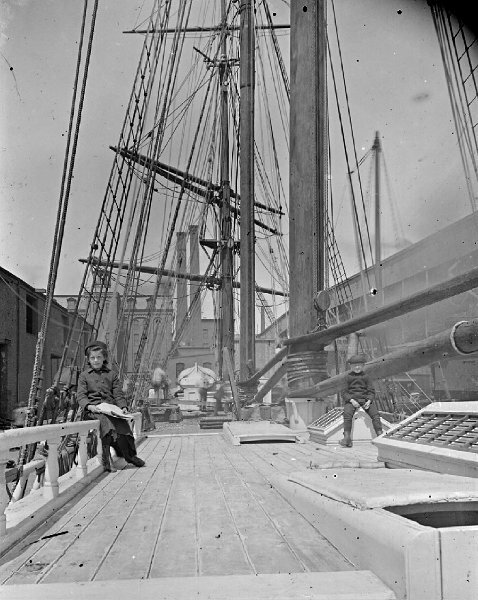 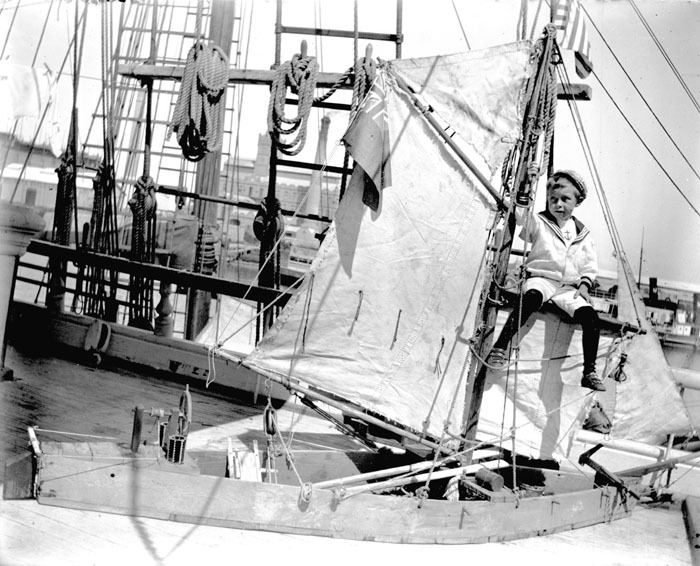 The woman is his wife, Georgia P. Sawyer Gilkey, and one of the little girls is Georgia Maria, who later married another Searsport captain, Phineas Banning Blanchard and sailed with him for many years. 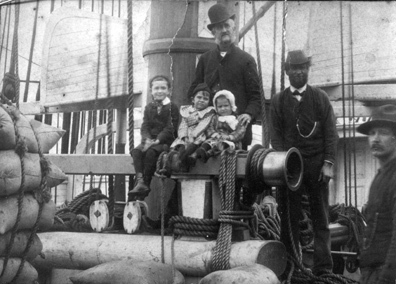 Three young children aboard ship, probably with the captain, a mate, and a seaman.